Take the Colwyn Bay turning off the A55 ( Jn 21). From the West turn right and the East turn left at the traffic lights. 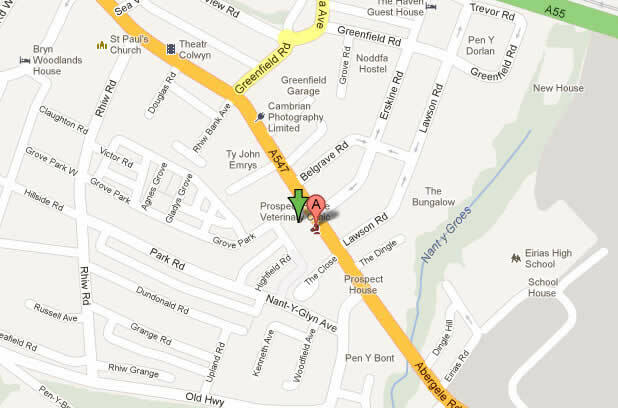 Go straight across at the mini roundabout, and then turn left onto the main road through Colwyn Bay. After 300 metres, Prospect House is the large white house with a blue front door set back off the road on the right hand side.